Flood warnings issued for DC, Md. 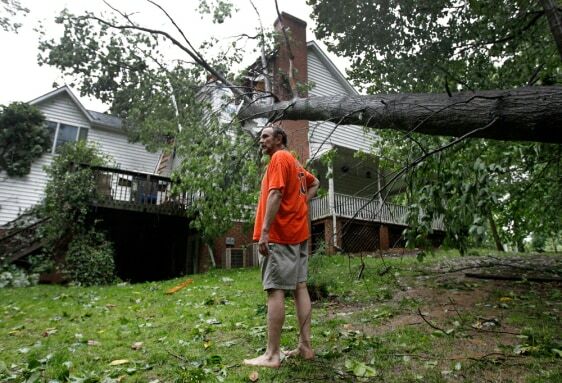 and Pa.
Doug Swinton surveys his property after a tree fell through his home's roof in Gamber, Md., on Friday. Authorities say strong winds brought down trees and branches across southern and eastern Carroll County.